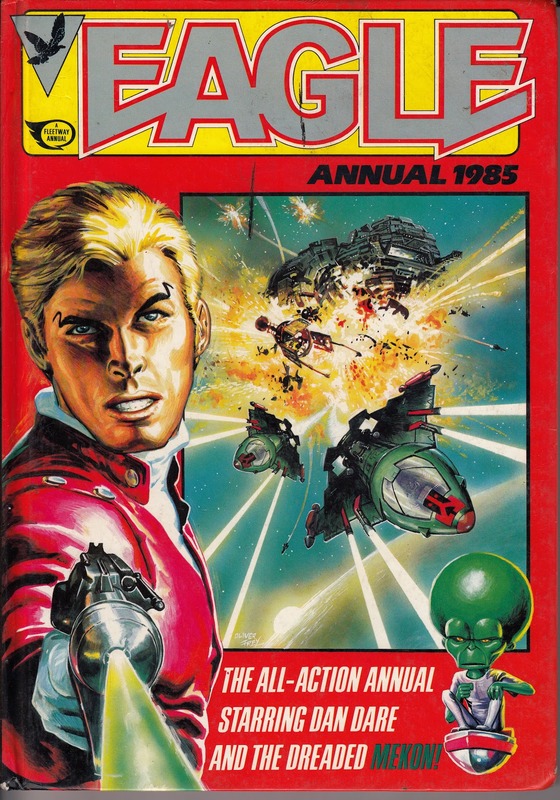 A mainstay of the Christmas season throughout the eighties (and into the nineties although - I must confess - I'd stopped reading by then) was the EAGLE ANNUAL, published under IPC's Fleetway flag (and latterly published by the newly reconstituted Fleetway themselves). 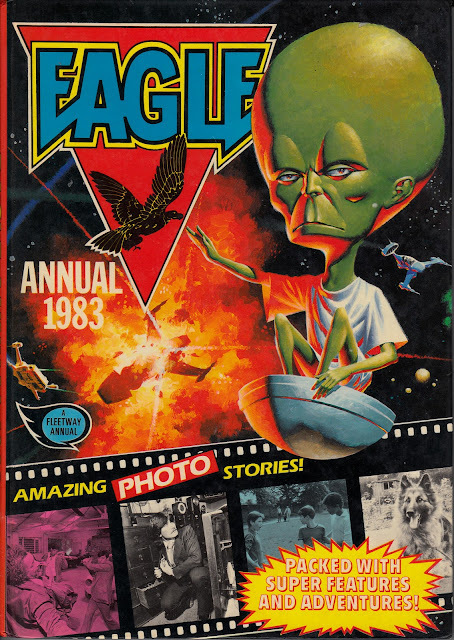 The first annual, smartly targeting the 'dads' with a stunning Mekon cover, appeared in September 1982, around six months after the weekly's return to the shelves. Looking back, what I find most fascinating about this run is that they all (bar the last) prominently feature the comics' most bankable star, DAN DARE, and they all demonstrate how IPC/ Fleetway were constantly updating/ refining/ revamping/ wrecking* the character. 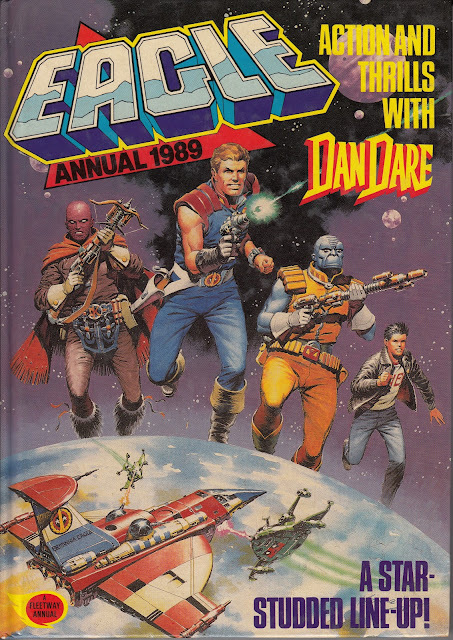 It all starts to look a little desperate as the years pass but I think this accurately reflects what was happening in the weekly (latterly monthly) itself, which seemed to be in a perpetual state of decline from mid-decade onwards but somehow managed to stay afloat for almost another ten years before finally succumbing to a collapsing market in 1994. The other strips in each edition broadly reflected the ever-evolving contents of the weekly (albeit sometimes lagging some months behind because the annuals had such long lead-times) although the ever cost-conscious Fleetway mandarins were not adverse to sneaking-in the odd reprint from the non-Eagle archives to bulk-out the page-count. 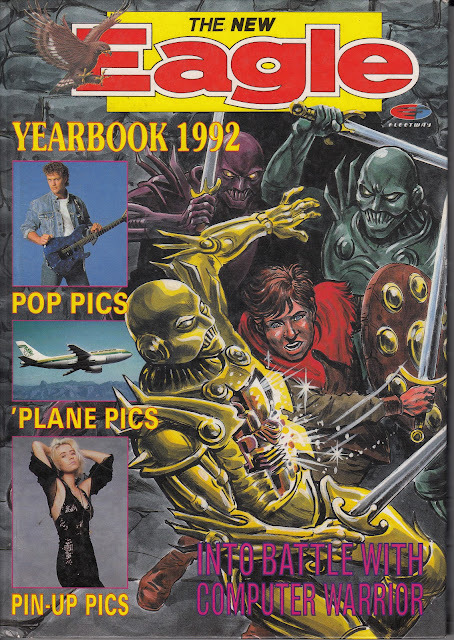 The last annual - sorry, Yearbook - appeared in the last quarter of 1991. 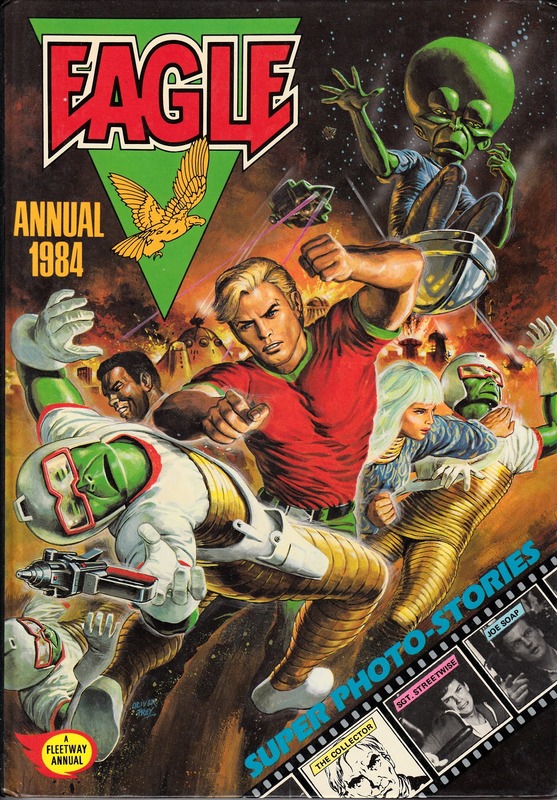 The new emphasis on celebrity also reflects what the regular comic was doing as it tried to stay relevant. Presumably sales on the annuals had dropped sufficiently far for them to have ceased to be economical after '91. 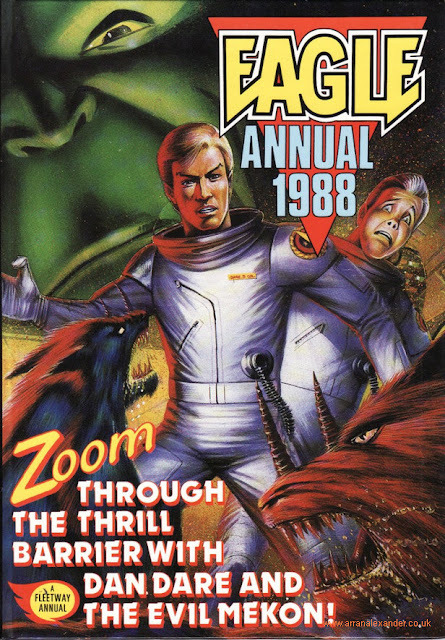 Again, this reflects a market that seemed to be in terminal decline as buyers turned their backs on the traditional stocking-stuffer. 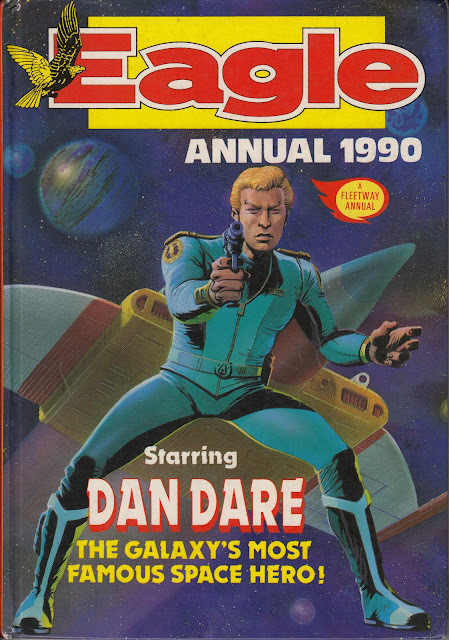 Throughout the eighties, a large part of my birthday (September, just in time for the first annuals to hit WH Smith) and Christmas wish-lists were annuals so - maybe - I was single-handedly responsible for keeping the industry afloat. 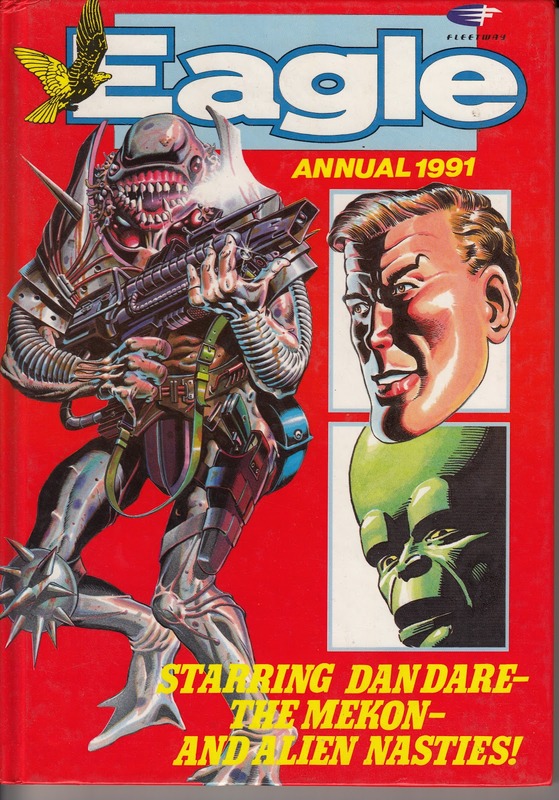 And its demise in the early nineties. The early editions followed the formula of the weekly: a generous offering of photo-strips alongside traditional comic strips and feature pages. The pricy-to-produce photo-strips were subsequently dropped. 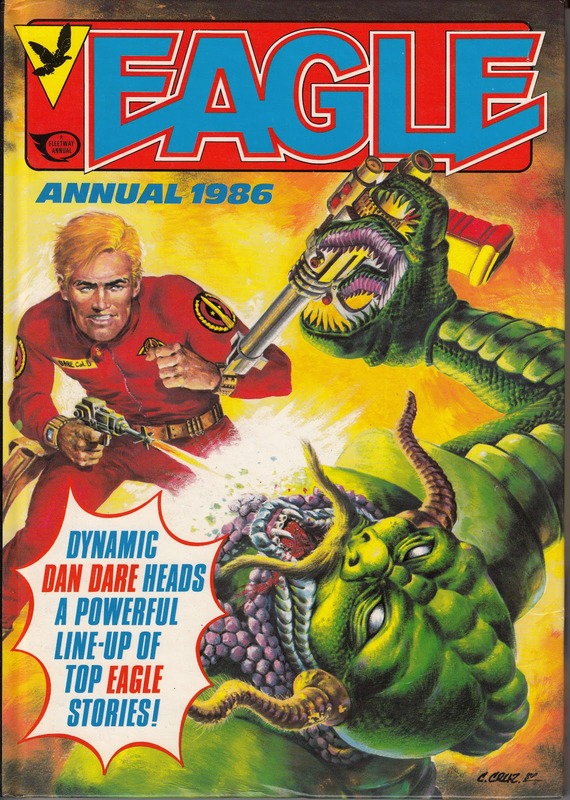 Surprisingly, the original run of the Eagle Annual had only ended in 1974 (with the 1975 edition), six years after the long-lived weekly had been gobbled-up by LION (in 1969). 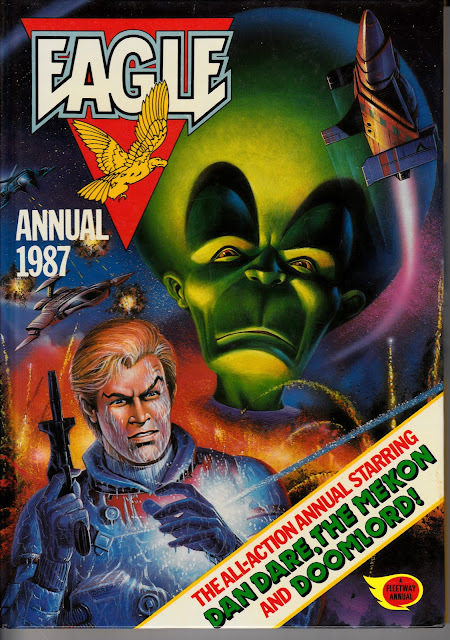 The Dan Dare strip here, and the one in the earlier 1982 Holiday Special, don't reflect the ongoing Return of the Mekon continuity of the weekly.